Liberation Suite The Encyclopedia of Contemporary Christian Music By Mark Allan Powell Randy Hill, drums, vocals; Howard Lyon, tromb., voc; David Bynum, bass, sax., voc (-1980); Paul Lyon, trump., flute, voc. (-1980); Barry Bynum, voc., gtr., kybrd. (-1994) // Jim Hazel, gtr. (+1980), Fred Perez, bass (+1980, -1990); James Yager, kybrd., voc. (+1980). 1975 ? Liberation Suite (Myrrh UK); 1980 -- Stride For Stride (Chapel Lane); 1990 ? Water And Blood (Spark). Long before Christian ska, there was Liberation Suite, incorporating brass with hard-rocking Jesus music, first in the Texas hill country, and then in war-torn Northern Ireland and the British Isles. LibSuite, as they were usually called, was one of two important Christian groups to be part of the Texas Jesus movement. In the mid ?70s ? years before ArkAngel, much less King's X, were on the scene ? it was just Liberation Suite and Hope of Glory in the Lone Star State. LibSuite's sound was likened to Chicago Transit Authority at the time (i.e., to the rock band that did ?I'm a Man? and ?Beginnings,? not to the abbreviated adult contemporary remnant that later did all those ?Hard for Me to Say I'm Sorry? pop songs). Indeed, Liberation Suite regularly performed ?Where Do We Go from Here?? in their concerts, along with blistering versions of the Doobie Brothers' ?Jesus Is Just Alright? and Eric Clapton's ?Presence of the Lord.? Their first album remains one of the most important ? and one of the best ? contributions of the era. The group formed in the small town of San Marcos, Texas, where all five members were part of the charismatic, nondenominational Hill Country Faith Ministries. The group consisted of two sets of brothers plus drummer Randy Hill, who would ultimately become the ?keeper of the flame? in Mick Fleetwood fashion, holding things together through numerous personnel changes. Barry Bynum led the band, for instance, and is featured on all three albums, though he would not continue to perform with the group after 1994. Bynum and Hill had met when they were just fourteen; in high school they hooked up with the Lyon brothers, who were sons of a band director, and LibSuite was born. The teenagers all had born-again, personal-salvation conversion experiences while still in high school, and LibSuite turned into one of the country's first Christian rock bands ? they thought they were the only Christian rock band for some time, before heading west and learning about Love Song and J.C. Power Outlet. At first the band simply backed a choral group called Sound 70, but then, as Paul Lyon told Harmony magazine, they all got ?baptized in the Holy Spirit? and began to realize their music served a greater purpose. Like true Jesus freaks, they joined a traveling tent ministry called ?Christ Is the Answer? that moved from city to city putting on rallies every evening for the curious onlookers. LibSuite would play to draw a crowd and evangelist Bill Lowry would preach. Joe Greer, later guitarist for the band called e, was also a part of this Christian rock and roll circus. Benny Hester got saved at one of the rallies, as did Hill's future wife. 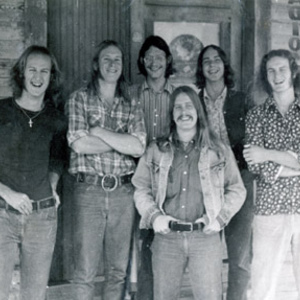 Back in San Marcos, the group was told by a visiting preacher (Ray Barnett) that their music would go over well in Europe, and he offered them accommodations in his home, if they ever should feel led to visit. They did feel led, and the whole band flew to Northern Ireland without any clue as to what they would do when they arrived. They maintain that they did not even realize there was a war going on (?All I knew about Ireland was that it was really green and had a lot of sheep,? Hill recalls), but they ended up staying for six months near Belfast during one of the bloodiest periods of the conflict. During that time, they would set up in downtown areas that had been blocked off due to car bombings, play their music to draw a crowd, and preach a message of Christ and reconciliation. In 1974, LibSuite played at the very first Greenbelt festival in England and subsequently became one of the top Christian bands in that country. For a time, Terry Clark (kybrd. ), his brother Duane (bass), and keyboardist Stephen Houston were added to the group for an important tour of Europe with Chuck Girard. Liberation Suite was produced by John Pantry and features a number of classic Jesus music songs. ?Led to Roam? and ?I Wanna Be with You? are Zeppelinesque, blues-rock numbers showcasing Bynum's guitar solos. ?Run, Run, Lucifer? is progressive art-rock, drawing comparisons perhaps to Supertramp, Kansas, and Styx. The song starts out slow (like almost every Styx song) and then suddenly breaks into a fast smorgasbord of artsy influences and styles: Jethro Tull flute, a gang-vocal chorus, and even a Spanky-and-Our-Gang ba-de-ba-de-bah a capella interlude. In the early ?70s it seemed incredibly cool to have so much going on in one song, and ?Run, Run, Lucifer? was a rare example of Christian music that was more innovative than much of what was being produced in the general market. ?Oh, Lord, You Know That I Feel so Fine? and ?More Than a Matter? give the brass a chance to shine and sound very much like early Chicago songs. ?My Lord Is a Remedy? is a kinda dumb (i.e. humorous) country rock song. ?Reaching for the Sky? is a fabulous rock-ballad, a song like Chicago's ?Colour My world? or Herb Alpert's ?This Guy's in Love with You? that works precisely because of its simplicity. The standout cut on the album, however, and the one that would hold up the best twenty-five years later, is the simple acoustic song, ?Hearken.? As an artifact of the Jesus movement, Liberation Suite demonstrates both the passion and naivete of that revival. ?More than a Matter? proclaims that ?the end is coming soon? and that salvation is ?more than a matter of going to heaven or hell,? two typical emphases of the movement. As historian David Di Sabatino points out, ?Run, Run, Lucifer? exemplifies the ?prevalent Jesus people belief that life is a contest between the cosmic forces of good and evil,? while ?My Lord Is a remedy? typifies the ?mindset of most adherents that Jesus is the answer to each and every problem.? The latter song actually declares, ?My Lord is a remedy for the common cold.? In the early ?70s, at least, the church in San Marcos from which the band sprang was a neo-Pentecostal assembly that did indeed teach that people of faith should not have to be troubled by such inconveniences as colds or dandruff or bad breath; Jesus would fix it all. The message of ?Hearken,? on the other hand, is direct and timeless: ?Hearken to the Lord, O lost generation / After searching for so many years / It's written in the pages of the Good Book / The reasons for lying and dying and so many tears." Stride for Stride moved the group more consistently toward the art-rock style of bands like Boston or Kansas ? and comparisons to ?80s Chicago would also apply. ?Where My Home Is,? a song about heaven, is easy California rock in the same vein as Sweet Comfort Band. ?Heal the Broken Hearted? is a piano ballad calling on Christians to heed Jesus' example and become instruments of healing. Water and Blood was something of a disaster in that the record was poorly mixed and distributed without the group's consent. In 2000, a new, remastered edition was finally made available. The opening, ?Talk to You,? has the pop sound of Top 40 ?70s radio and addresses the listener with a divine plea similar to those that would be posted on the numerous ?message from God? billboards that became popular in the late ?90s. ?When you got time, I've got to talk to you.? The same divine-quest-for-humanity theme informs ?the Distance? (based on the prodigal son story). ?All Things New? is a modern folk-hymn to God's victory over evil. ?Emerald Isle? is more of a rock anthem closer to the sound of the band's classic debut, with Boston-like gang vocals and some impressive guitar work. The album concludes with a new version of ?Run, Run, Lucifer.? In an interview with Jesus People magazine in 2000, Randy Hill would continue to extol the basic passions of primitive Jesus music as opposed to what became the contemporary Christian music industry and empire. ?The Jesus movement was quickly poisoned by Christian record labels, Christian music magazines, and media hype in general?There doesn't seem to be much in the way of music evangelism anymore. It's either a bunch of preaching to the choir or bands crossing over to the secular arena and not saying much of anything at all.? Barry Bynum has continued to pursue a solo career, working both in Northern Ireland and in San Marcos, Texas, where he became worship leader for Hill Country Faith Ministries. He has released two albums in Europe only: Stickin' Your Neck Out (1995) and To You (1998), which are available through his website (http://barrybynum.tripod.com/BarryBynum.html).